Most guests that are in the midst of setting up their dining reservations are busy focusing on the restaurants that take one sit down option, so they will find themselves skipping over the majority of the signature restaurants. In my honest opinion, that is a huge mistake. You get stuck in the groove of eating at those same restaurants on each trip, when you should try to sample all of which Disney has to offer. One of those restaurants that are often bypassed is Citricos. Citricos, with its Mediterranean inspired menu, is by far one of the best restaurants that I have had the opportunity to dine in. The ornate wrought iron gate at the entrance to this establishment sets the scene for this beautifully decorated restaurant with old world style furnishings and views of the grounds at the Grand Floridian, where it is located in the main building. Citricos also is one of the restaurants on property that offers a separate dining area called the Chefs Domain. Not too long ago, I had the privilege of dining at the Chefs Domain with my agents and it was superb! From start to finish, every course was done to perfection. 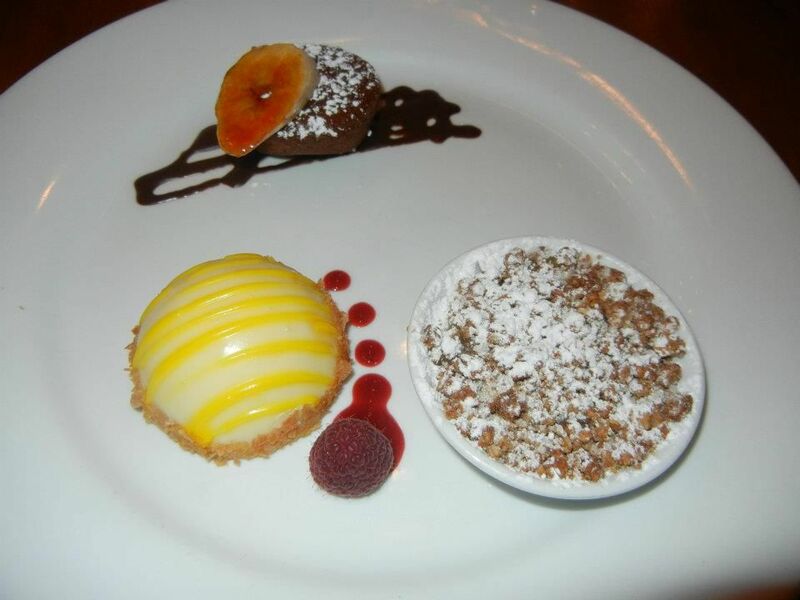 After being seating at a huge oak table in a separate room located at the rear of the restaurant, the Chef came to speak to each of us individually to see what we liked. One of the agents did have a gluten allergy so they customized her entire meal from gluten free rolls to a vat of crème brulee for dessert! Of course the picky one in the group wanted plain filet mignon and mashed potatoes and don’t forget the A-1 sauce! This of course was my daughter. It was such a great experience talking to the Chef and having things customized to our different tastes. The menu that is offered does change with its seasonal offerings. 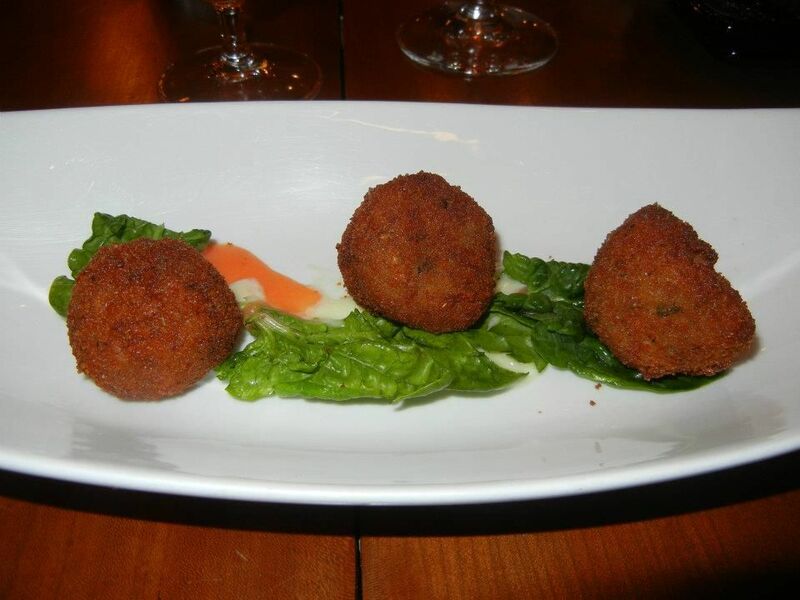 My first course was the Arancini, which is a crispy, creamy risotto filled ball with cremini mushrooms and asiago cheese. They literally melted in my mouth and were very, very good. This was my first time trying Arincini so I was pleasantly surprised by the creaminess inside. My second course consisted of braised baby beets with petite greens and lemon chive goat cheese. Wow! I had no idea what I was missing! The beets were so sweet and tender. 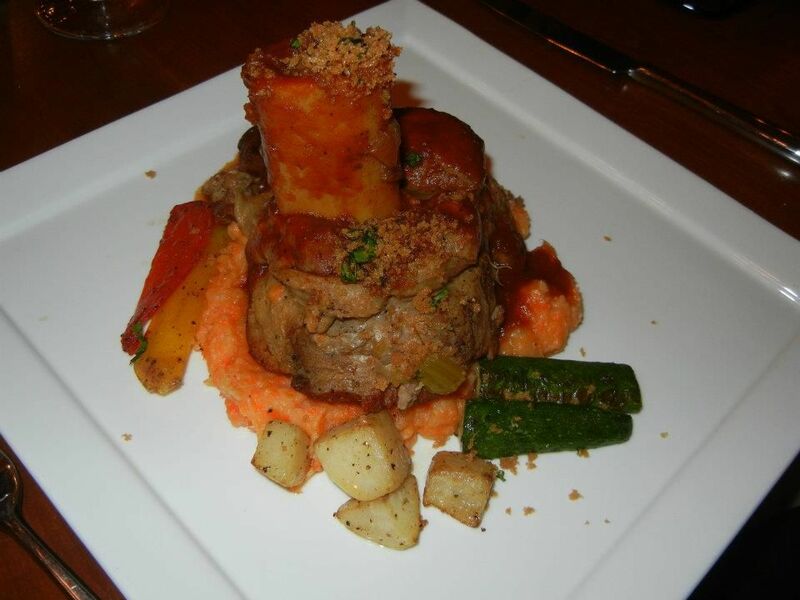 I could have easily eaten this as my main entrée, but instead I chose the braised veal shank with mashed carrots/potatoes and grilled vegetables as course number three. It was so tender and absolutely delicious. Being a self proclaimed foodie, this meal had me in heaven! Dessert was a tasting of 3 desserts because I couldn’t make a decision. Everything looked so good! When we finally finished the Chef came in to see how everything was and handed us all customized menus. That certainly made our night even more memorable. We had a wonderful time. Great food and great friends! For those of you that would like to try this wonderful restaurant, Citricos at Disney's Grand Floridian Resort and Spa will be offering wine tasting dinners in January and February. On January 23, the dinner will feature Schweiger Vineyards and will be hosted by Diana Schweiger Isdahl, and on February 6 the dinner will feature Foxen Winery and will be hosted by Jenny Williamson Dore. These dinners start at 6 p.m. and have a very limited capacity of only 10 guests each. Price is $155 per person (gratuity included) plus tax. 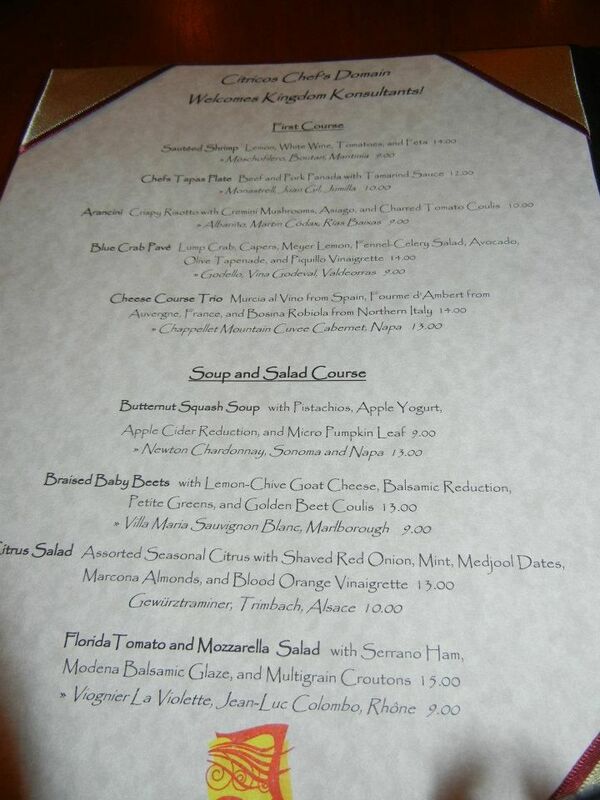 To book one of these meals please call Keith at 407-824-3988 or email him at Keith.Gimbel@Disney.com . A cell phone number and a credit card guarantee will be required.